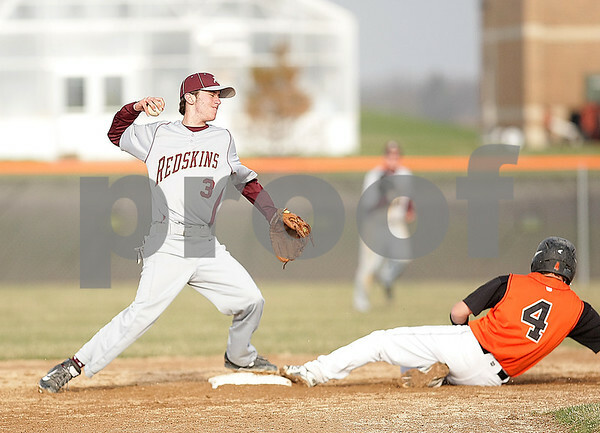 DeKalb baserunner Patrick Aves slides into second as Morris second baseman pumps his arm towards first after tagging the bag Monday, April 28, 2014, at DeKalb High School. The Barbs beat the Redskins, 1-0. Aves was called out on the play.